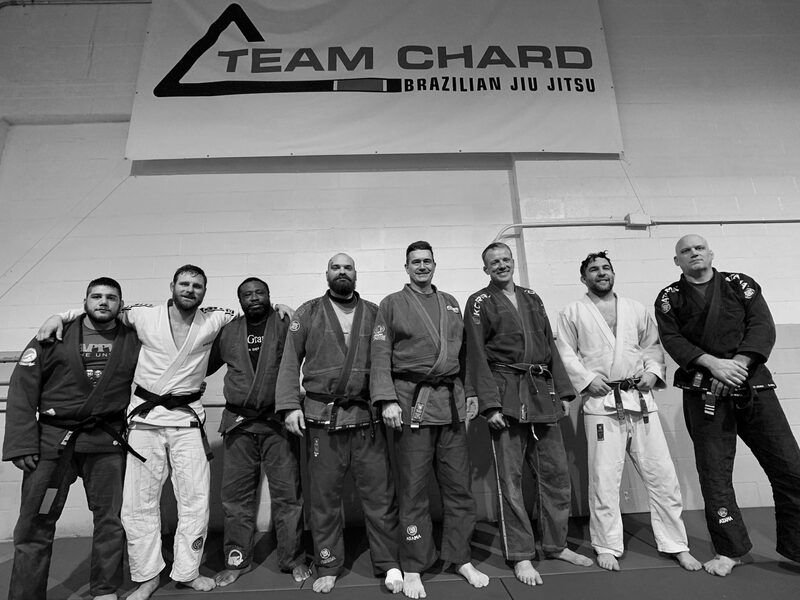 Our final day of competition for Team Chard was Saturday as Tim Lehman participated in the Masters (30-35) Purple Belt Super Heavy (221 lbs) and Open Weight classes. Tim’s weight category started at noon and everything was proceeding normally, until, at Gi check, his uniform was disqualified for being too tight in the arms. We scrambled over to one of the vendors at the event, bought a larger Gi, and got him on the mat. 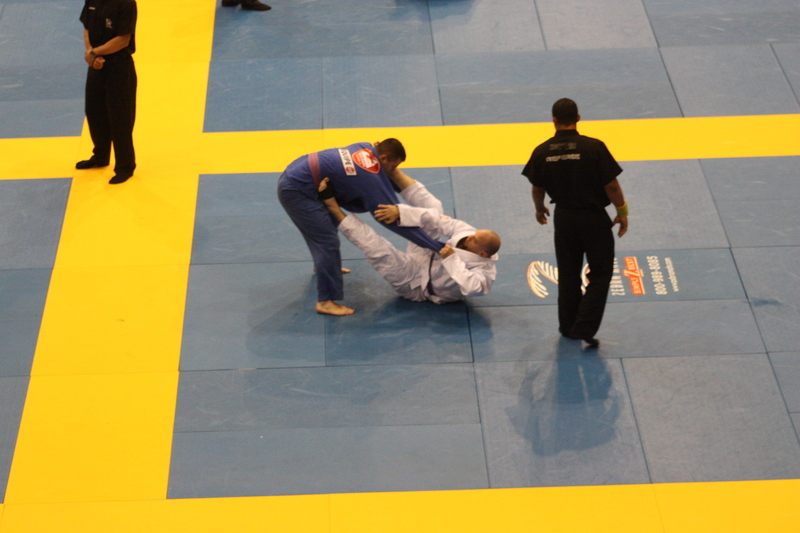 He started off his match by pulling guard very quickly and worked tirelessly for a submission. At one point he had an arm bar locked, but his opponent would not give in. Down by an advantage point, with about 20 seconds to go, his opponent passed his guard and securing a win by a score of 3-0. Tim returned in the evening to contest the Absolute (no weight limit) category. His first opponent he drew was a lightweight competitor. Tim again pulled guard and proceeded to sweep, pass, and use his knee on the belly for the entire 6 minutes to dominate. He moved on to the second round with an 11-0 win. He then moved on to the final 8 of the division. His next opponent, a very solid competitor, was one he had met 2 years ago as a blue belt. 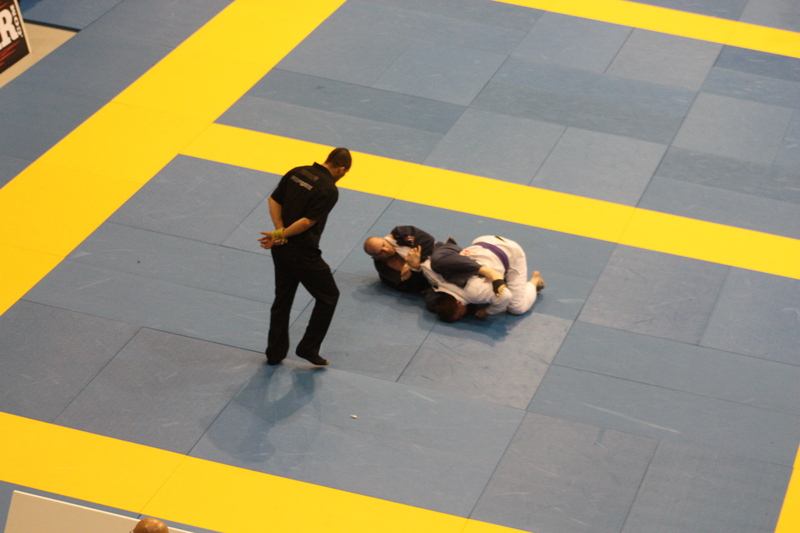 His opponent came out and pulled guard immediately. Tim did a very good job stabilizing his position for a guard pass and almost was successful. However, his opponent’s guard was too active too control. He swept Tim and went up 2-0. Tim tried to work his guard, but as his opponent was passing, Tim gave up his back and his opponent secured a Gi choke for the win. Tim’s march to the podium ended in the third round (his opponent went on to win the category). All in all, a great weekend of competition, effort, and fun for the team.